Porto City Guide: How to Spend The Perfect Slow Weekend in Porto | The Atlas Edit. When planning my trip to Portugal, I found many articles debating whether Lisbon or Porto was the better city. Lisbon is Portugal’s capital city, but Porto is Portugal’s second-largest city, and if you ask me, is the soul of Portugal. This is where everything slows down and is the perfect weekend getaway if you just want to sip a glass of port wine and relax by the river. Porto is where Portugal offers its best food, wine, architecture and sunsets without being overrun by tourists. 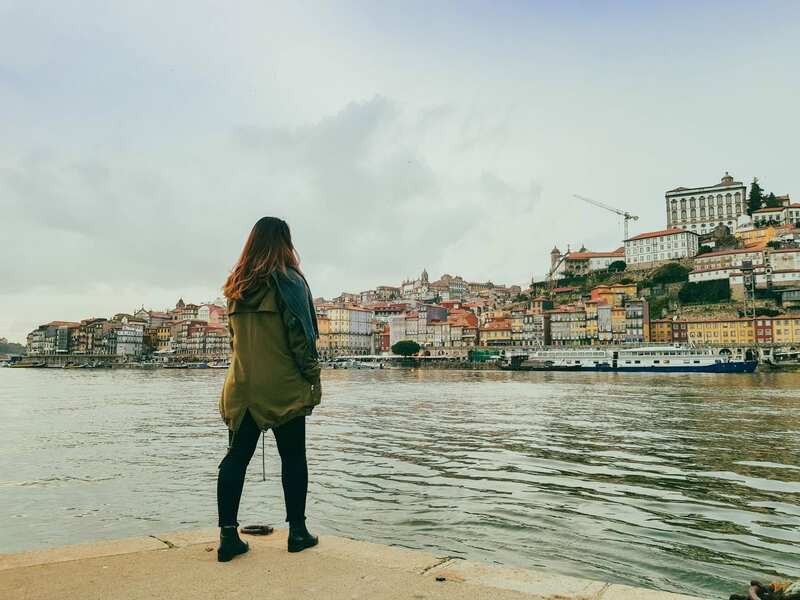 If this sounds like your cup of tea, then follow along on this Porto City Guide on how to spend the perfect slow weekend in Porto. Porto is easily accessible from most airports around Europe. 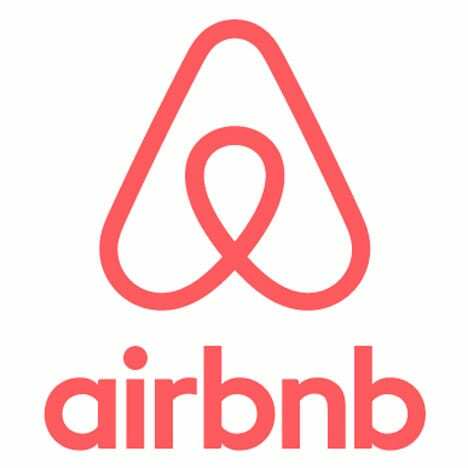 However, if you are coming from outside Europe, you’ll probably need to connect via another city. Alternatively, if you are coming from within Portugal, you can take a high-speed train called the Alfa Pendular. Check timetables and prices here. 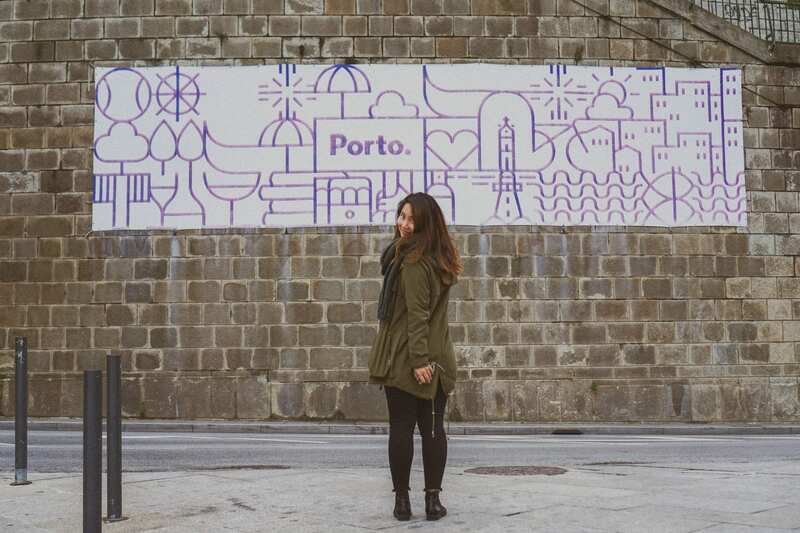 Porto is very walkable and so the best way to explore the city is on foot. You can’t miss the quiet corners and alleyways that can only be explored on foot. 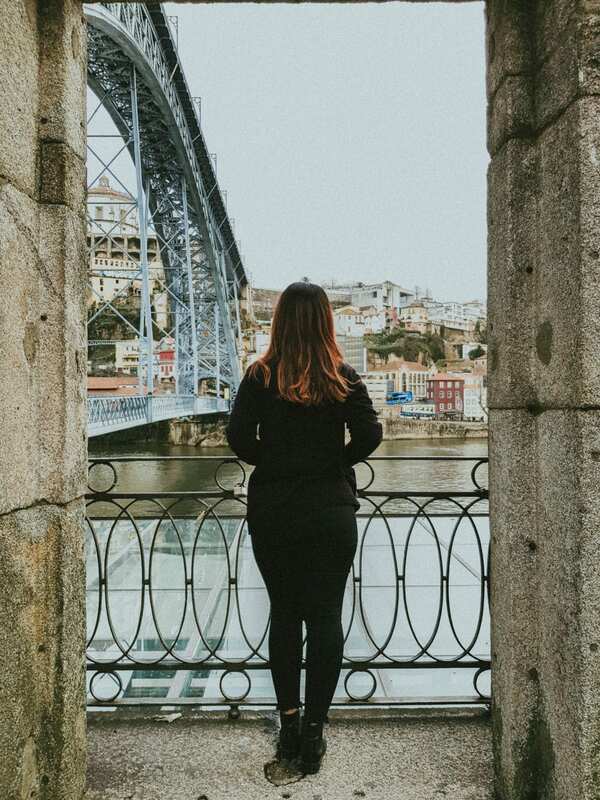 Alternatively, you can also purchase a Porto Card that will grant you access to the public transportation system, over 170 discounts and benefits, including free access to 11 museums and even a free visit to a port wine cellar! Get your Porto Card from only €13 now! Porto’s historical centre is very walkable, and so deciding on a place to stay shouldn’t be too difficult. 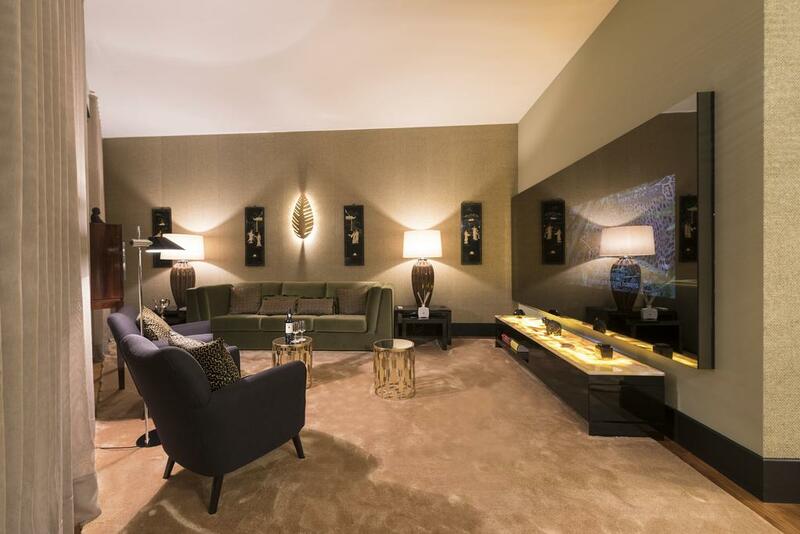 The best places to stay are in the Ribeira district and Avenida dos Aliados. Prices in Porto are much cheaper than in Lisbon, and you can get a pretty nice place for a fraction of the price you would in Lisbon. We managed to snag a very fancy 2-bedroom apartment in Aliados for just €150 per night. 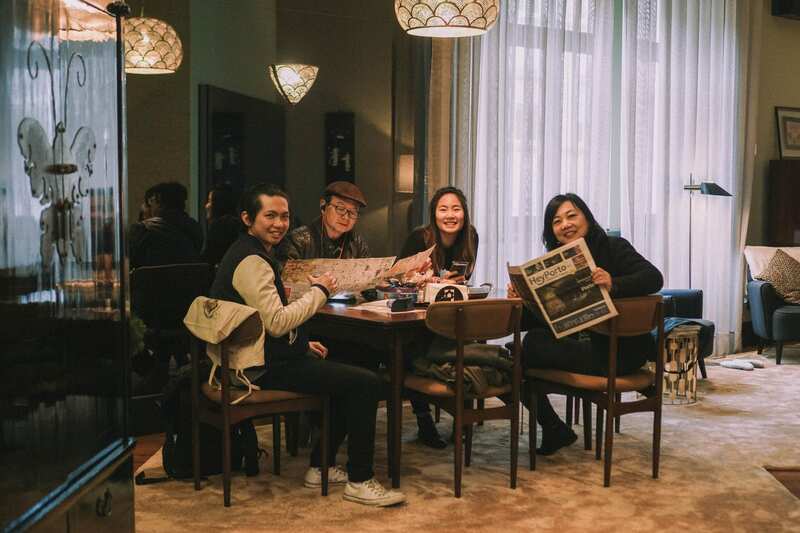 We were completely gobsmacked when we entered the apartment as it was probably one of the most luxurious ones we’ve ever had the chance to stay in! And without breaking the bank! Explore Mercado do Bolhão, a market selling local produce and delicacies, and take in the local sights and smells. There’s no better way to experience a city than to mingle with the locals doing their weekend marketing. 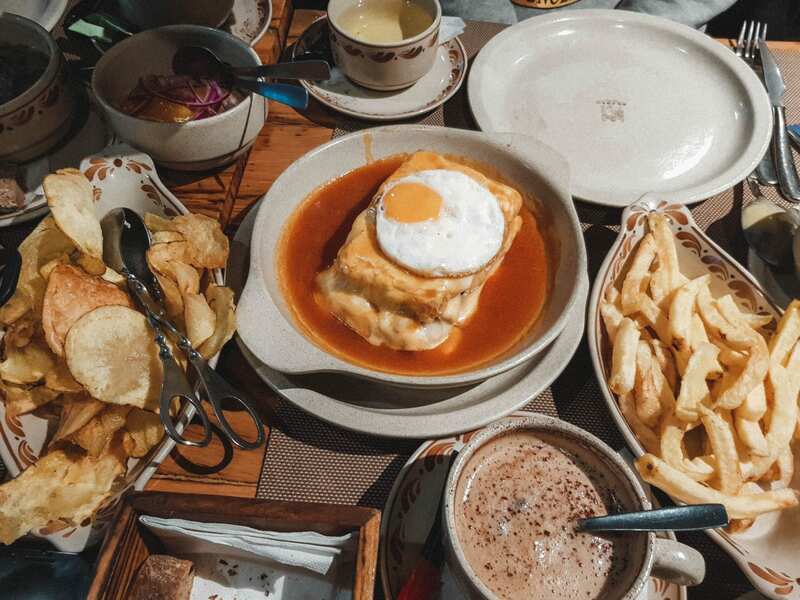 The first thing you have to do is to eat Porto’s very own specialty, Francesinha – which is their take on a ham and cheese sandwich doused in a beer and tomato sauce mixture. It kinda looks like a heart-attack on a plate, and it very well could be… but when in Rome (or Porto, in this case). There’s also the option to have it topped with a sunny-side up. TIP: Always go with the sunny-side up. Set foot into one of the world’s most beautiful train stations, Porto’s very own São Bento Station. The Portuguese sure love their tiles, and they have spared no expense on their train stations. You just have to see it with your own eyes! 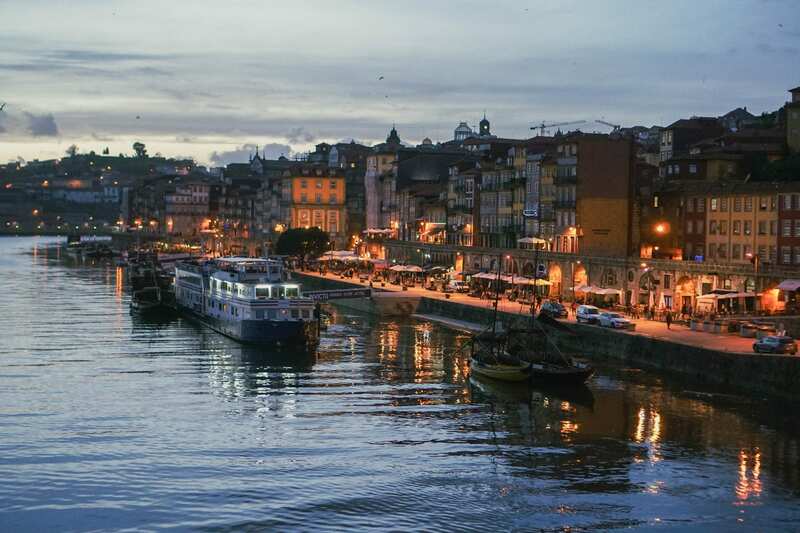 Grab some grub and take a stroll along the Ribeira, Porto’s riverside. Of course, this is the city’s most touristy spot, so steer away from the tourist traps and pop into a little cafe with locals. Porto also has some of the most beautiful sunsets, so this is the perfect spot to end the day, with a glass of wine in hand. Touted as one of the most beautiful libraries in Europe, or perhaps the World, Livraria Lello is a must-see when in Porto. Bonus nugget of info for Harry Potter fans: Rumour has it that JK Rowling used this bookshop as inspiration when writing about the Hogwarts library. It also kind of resembles Flourish & Blotts, don’t you think? #HufflepuffPride! However, it gets incredibly crowded, which really steals from the allure of the place, so I would suggest coming as early as you can so you can to snag a picture with the famed red carpet without being photobombed by other tourists! Doors open at 10am, and there was already a queue when we got there at 9.30am. Purchase your tickets online if you can! 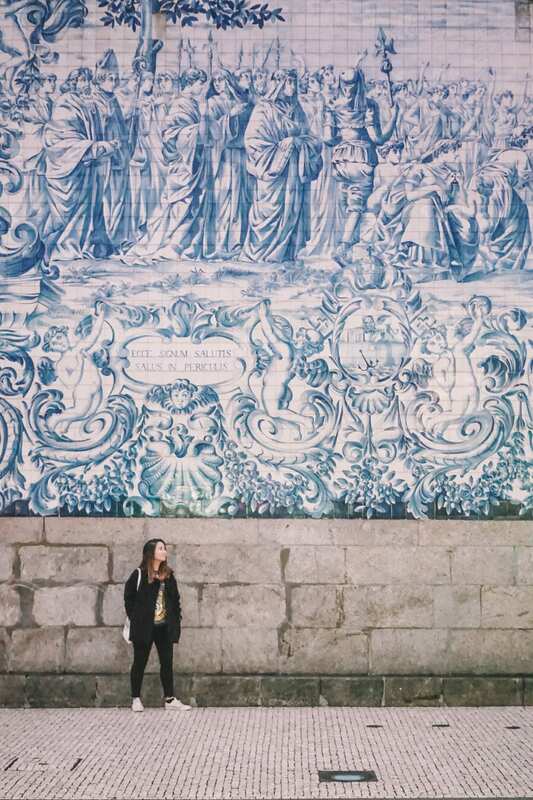 Close by is the Chapel of Souls, one of the most beautiful churches in Porto that’s covered in azulejos, or Portugal’s signature blue painted tiles. The iconic Dom Luis I Bridge is probably what you’ll see on most postcards from Porto. If you think the architecture looks familiar, you’re probably right–it was designed by Gustave Eiffel, the visionary who is famous for–you guessed it–The Eiffel Tower in Paris. You can walk across it through the upper level, and then take the ground level back; both offering stunningly different views. 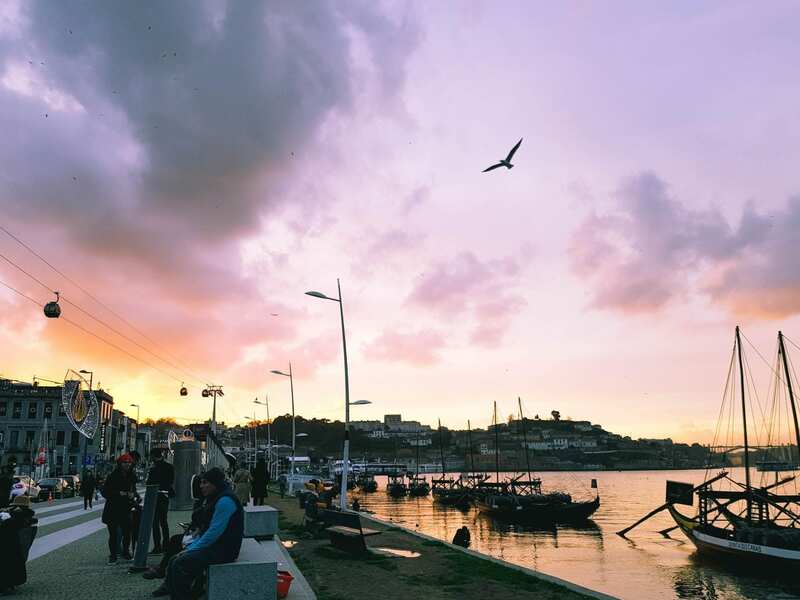 Walk back across during sunset for some of the best views of Porto’s beautiful sunset. Once across the river, you will arrive at a neighbourhood called Gaia. Here you will find some of the best wine cellars, with famous names you’ve probably seen in bottle shops before. There are so many to choose from, and if you’re not sure where to start, why not join a 3-hour Wine Cellar Tour? On this tour, you will learn the history of some of the oldest port wine cellars in Porto and taste some fine Porto wine. End the night by taking a stroll back to Porto’s historic centre and crossing the Dom Luis I Bridge once again. Make sure to time it perfectly to coincide with the sunset, a perfect way to end the perfect weekend in this magical city. There are many surrounding towns and cities nearby that are worth a day trip. ⇢ Duoro Valley. The home of Port wine. Duoro Valley is the only place in the world you will find real Port wine, and a day trip here is incomplete without a few wine tastings. And it doesn’t hurt that the scenery is simply out of this world. You can also take a cruise down the Duoro River and look up at the majestic hilly vineyards! 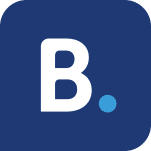 Book a day tour with GetYourGuide! ⇢ Aveiro. The Venice of Portugal, you can take a gondola down Portugal’s very own canals. There’s also some pretty awesome fresh seafood here! Book a day tour with GetYourGuide! I hope this helped you in planning your own little weekend away to Porto! Let me know in the comments below if you’ve ever been to Porto or Lisbon and which one you preferred! 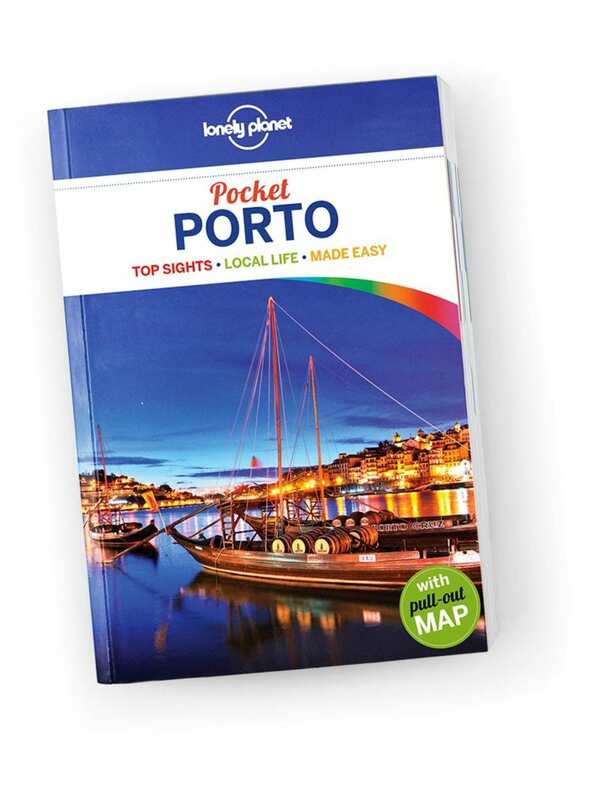 Further reading: Lonely Planet Porto Travel Guide is an up-to-date guide on what to see and skip, and the hidden secrets Porto holds. It features colour maps and images, highlights and itineraries, insider tips, essential info, honest reviews and cultural insights. Love Porto, thanks for sharing this as I am planning to re-visit. Great guide and info provided. Loved your photos to, bookmarked!! Really great article! Looking to go there this summer and your tips will be so helpful in planning.